I read this article and found it very interesting, thought it might be something for you. 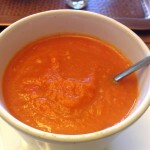 The article is called Slow Cooker Curry Carrot Soup and is located at http://www.gardendish.com/slow-cooker-curry-carrot-soup/. 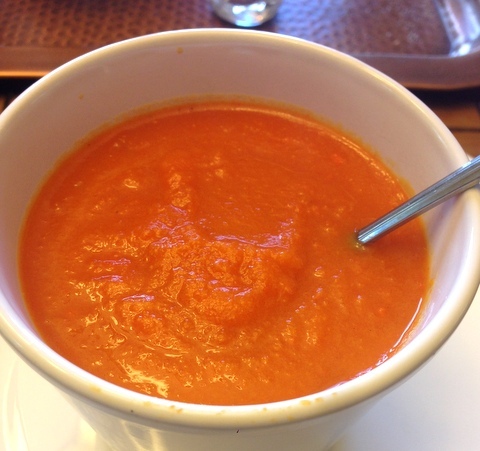 This is a lovely soup to show off in a white bowl – the color is shockingly orange. We like to serve this one to guests. They often “ooh” and “ahh” over the color, then they do the same about the flavor. The curry spices are noticeable, but not too intense. They’re just mild enough to take the flavor beyond the ordinary. Not that there’s anything ordinary about a soup made from 2 lbs of carrots. So with a hint of curry in the background, the flavor of the slow-cooked carrots shines through. Your taste buds will be amazed at how good a deep carrot flavor can be. Slow Cooker Curry Carrot Soup is low in calories too, making it a wonderful meal-starter. Place the carrots and water in the slow cooker. Cover and cook on low for 6-8 hours or on High for 3-4 hours. After cooking, add the curry powder. Using an immersion blender, puree the soup. Stir in the soy milk. Salt to taste. Nutrition (per serving): 106 calories, 81% calories from carbohydrates, 10% calories from protein, 9% calories from fat, 7g fiber.